In the Piedmont Triad like the rest of our great state we have experienced little or no winter and now spring is coming in like the proverbial March lion. One of the things that’s tough for me as a contractor is to tell our new clients is they will have to wait for their project to begin. The wait is partly because any good builder will always have a backlog of projects and a waiting list. In fact, if the contractor can start tomorrow or even next week, be very wary. There’s likely a reason why a contractor isn’t busy. Please be cautioned about that. In addition, there are steps in the building process that are required and just involve time. Perhaps you have a special event coming up like a graduation party or a wedding and you would like your project completed by a definite date. You contact Archadeck on the 1st of the month. We quickly get back to you and set up an in-person meeting where we discuss your desires, talk about some possibilities and measure/photograph the outdoor space. We return to the office and create designs and a proposal for your project. We present it to you and secure your approval. If we line up meetings expeditiously and there are no changes to the proposal, this part alone could easily take 2-3 weeks. After you make the decision to move forward, we create the detailed specifications, architectural plans and custom drawings for your project. Our national team ensures these plans fit our rigorous requirements for exceeding all local code. This step also depends on the complexity of your project. The more elements involved in a project like roofing, electrical, plumbing, etc. involve more planning. Next we work on the permits. Since now we are working with the local government building offices this might take anywhere from 5-20 business days. Next we work with the HOA for approval if necessary. Phew makes me tired just writing about the process. A lot of the things above can be done in conjunction with each other but if you add it all up, you might be looking at 8-10 weeks on average or 2-3 months between time you call and the time your construction starts. Again, if a builder tells you any of these steps are not necessary, please beware. 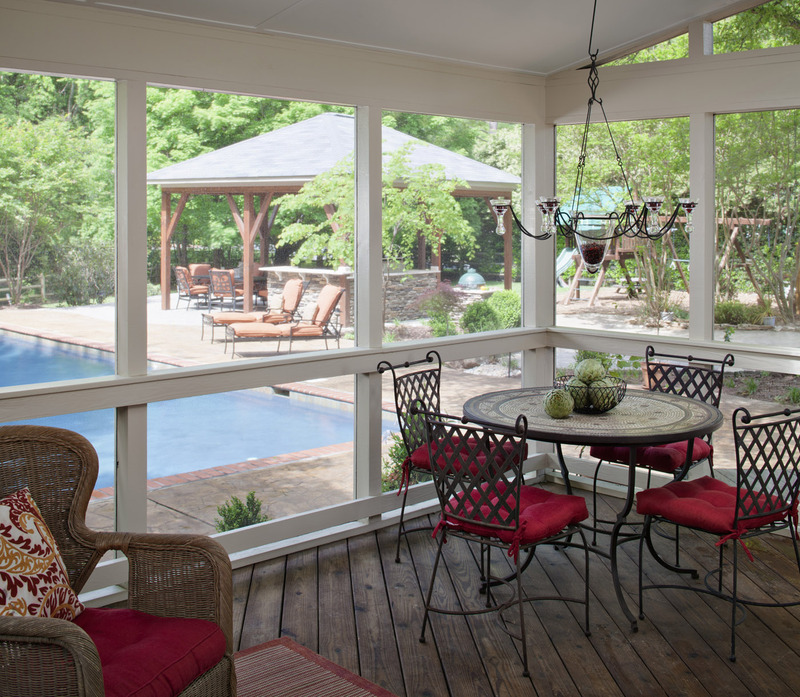 Are you thinking about adding a deck, porch, patio or other outdoor living space to your home this coming spring? Please give us a call now. It’s never too early to start planning. Don’t get caught in March Madness! Ensure your project is done when you want it to be this coming spring or summer. 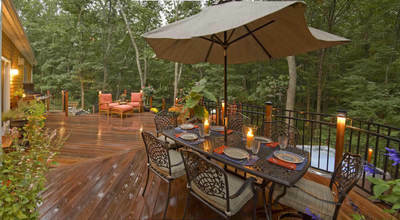 Give us a call for a free consultation or to start the dialogue for your new outdoor living project. Call us today at (336) 664-1332 or email us at [email protected] and visit our website to learn more about what can do for you!